If you love burgers and are in Austin, Texas this 4th of July weekend, celebrate freedom at Hilton‘s Liberty Tavern with cocktails and the new Short Rib Burger. Created by culinary wiz Peter Maffei of the soon-to-open Cannon + Belle, this mouthwatering nom combines the savory flavor of beef with Swiss cheese, heirloom tomatoes, local arugula and butter roasted beech mushrooms on a pretzel roll bun. 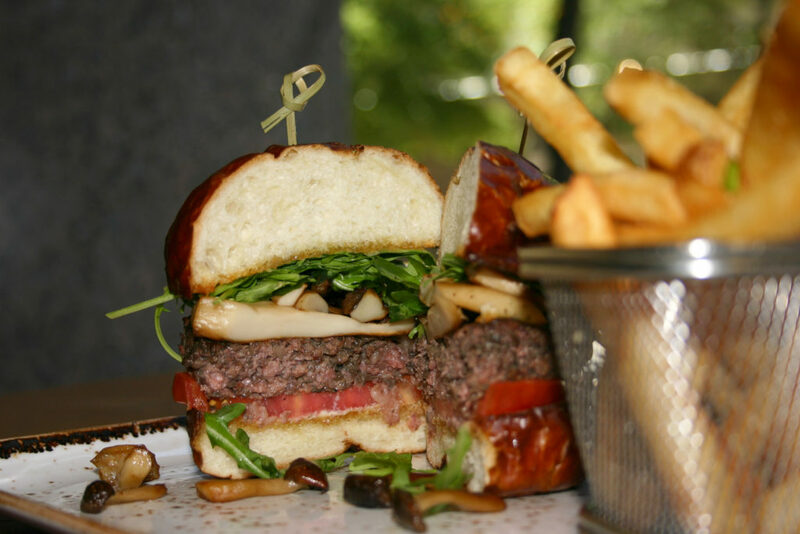 The James Beard Foundation’s Blended Burger Project dish is part of a competition based on the creative use of mushrooms, flavor profile and appetizing appearance. Running from Memorial Day through July 31st, diners can vote once a day for their favorite #BlendedBurgerProject entry online. The top five chefs with the most votes will win a trip to the James Beard House in New York City to prepare their Blended Burgers as part of the official welcome reception at the annual JBF Food Conference (October 17-18).